Exciting mini carousel giving children a real spin! The seat is placed at a slight angle to allow the child to propel the Carousel by shifting their centre of gravity. 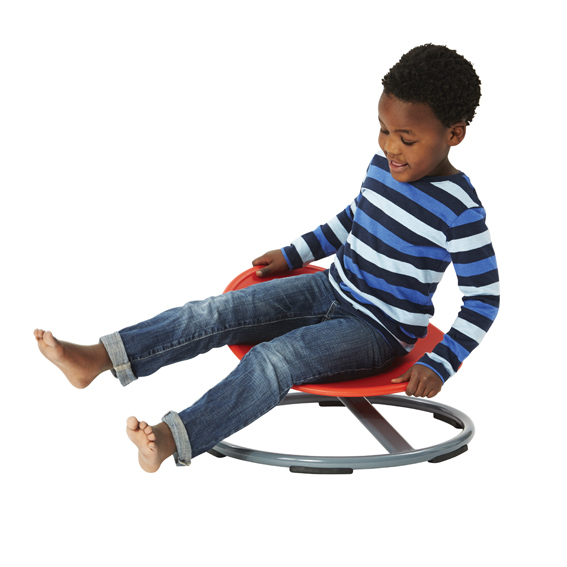 It is also possible for younger children to use their feet to set the seat in motion. Seat has a thick edge for children to get a firm grip and hold tight when the carousel is moving. Develops muscle integration as well as strength. Children’s vestibular sense in combination with sight is also stimulated to help improve balance. 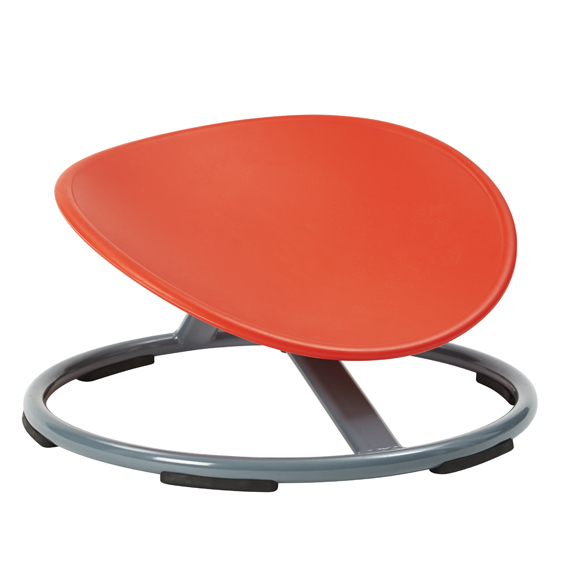 The Carousel consists of a solid, moulded plastic seat on a steel disc mounted with a rotation joint. A solid and stable metal base with rubber feet ensures safe spinning. Suitable for children aged 3- 10 years.